Inspired by a steady decline in new HIV infections and AIDS-related deaths, the sustainable development goals call for ending the AIDS epidemic as a public health threat by 2030. However, the world is not on track to end the epidemic. In particular, the pace at which new HIV infections are declining is substantially slower than the fall in AIDS-related deaths, and epidemic control remains out of reach. In 2015, the estimated number of new HIV infections in adults (1·9 million worldwide) was no fewer than in 2010. Unless the decline in new HIV infections is accelerated, a rebound of the epidemic is likely, with potentially catastrophic consequences for the communities most vulnerable to HIV. Although antiretroviral therapy (ART) is powerfully effective in reducing the risk of HIV transmission,HIV transmission will persist even with achievement of the ambitious UNAIDS 90-90-90 target for ART.Only by combining scaled up ART with substantially more effective prevention of HIV acquisition will the decline in the global HIV burden accelerate. The urgency of strengthening HIV prevention is emphasised by demographic realities, as the proportion of the population younger than age 15 exceeds 40% in all but eight countries in sub-Saharan Africa. In the coming years, as this especially large cohort of young people enters young adolescence and young adulthood, when HIV acquisition risks are greatest, failing to strengthen primary HIV prevention will undermine the benefits of treatment. In the high-burden countries of eastern and southern Africa, this demographic bulge poses particular risks of HIV acquisition for adolescent girls and young women. Efforts to prevent new HIV infections early in the epidemic were stymied by a shortage of validated data on the sources of new infections and scaleable prevention approaches, but this is no longer the case. Scientific findings over the past decade have greatly expanded the evidence base for HIV prevention. As Krishnaratne and colleagues observe, clear evidence exists of efficacy for voluntary medical male circumcision (VMMC), pre-exposure antiretroviral prophylaxis (PrEP), HIV treatment as prevention, and other biomedical approaches, as well as strong evidentiary support for interventions to increase the supply of condoms, clean needles, and other prevention measures.Evidence strongly indicates that the most effective approach to reducing the number of new HIV infections is a combination of biomedical, behavioural, and structural interventions that both reduces vulnerability to HIV acquisition and accelerates uptake of key prevention methods. Despite improvements in HIV prevention science over the past decade, we have yet to see a sufficient decline in new HIV infections. As Dehne and coauthors explain, current prevention efforts suffer from several weaknesses, including chronic underfunding, variable quality of programme design, the failure to bring interventions to scale, and poor or non-existent monitoring of outcomes. A much stronger, more rigorous approach to HIV prevention, with clearer monitoring and accountability, focused on a single agreed target for reducing new infections, is needed to accelerate the decline in the global HIV burden. 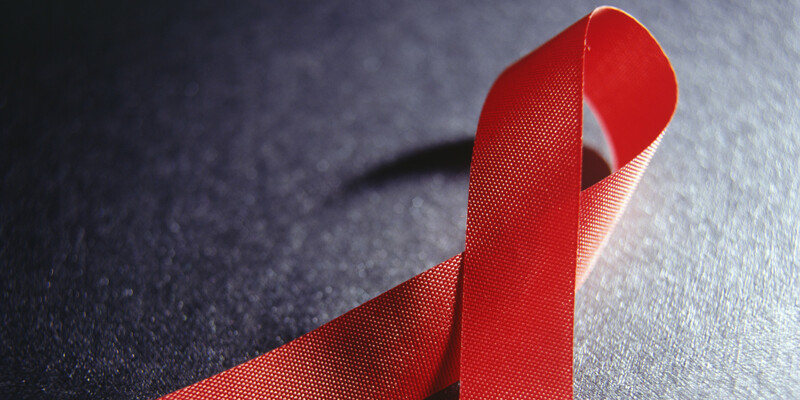 Modelling by Smith and co-worker, indicate that scale-up of existing interventions would strongly accelerate the decline in HIV incidence, but that the public health impact of existing approaches would be magnified by the development and complementary use of newer, easier-to-use technologies that rely less on individual adherence. Synergistic combination of diverse approaches, including structural interventions, is likely to optimise prevention outcomes. Where HIV services have succeeded, programme designers, implementers, and evaluators have used service cascades to clarify key programmatic elements, highlight areas where gaps, or leaks, in the cascade occur, and inform efforts to adapt programmatic design and approaches to improve performance and outcomes. For example, efforts to prevent new HIV infections among children have long benefited from the routine use of data-based service cascades.As the coverage and performance of services to prevent mother-to-child HIV transmission (PMTCT) have improved, the health benefits for children have increased, with 45% fewer children newly infected in 2014 compared with 2009.Indeed, PMTCT efforts, informed by strong data collection and programme monitoring, represent what is arguably the single most important prevention achievement in the history of the epidemic. Cascades have also transformed the HIV treatment agenda. The earliest push to scale up HIV treatment focused almost exclusively on the number of people initiating ART; treatment efforts more recently have routinely monitored outcomes along the HIV treatment cascade, culminating in the ultimate outcome of viral suppression.A cascade approach is now the agreed framework for planning and monitoring HIV treatment efforts, as reflected in the UNAIDS 90-90-90 target. Cascades have clear benefits, offering insights to national decision makers and international donors about the return on their HIV investments and how best to allocate resources to close leaks in the cascade and improve ultimate outcomes. A cascade approach also offers advantages at a project level, enabling implementers to identify and address bottlenecks and improve performance over time. Although cascades have been applied most prominently to what are often thought of as biomedical interventions, they also serve to highlight the behavioural and structural factors that influence uptake of and adherence to biomedical regimens, as described by Hargreaves and coauthors.These include such issues as acceptability, demand, perceived efficacy for self-care, stigma and discrimination, and life challenges (eg, poverty, housing instability, violence) that may impede an individual’s ability to adhere to prevention regimens. Garnett and colleagues applied a cascade approach to a cluster of validated prevention approaches with data in east Zimbabwe to assess the value of this approach. This exercise shows the feasibility of populating an HIV prevention cascade with population-level data to assess the ultimate impact of a prevention intervention and to identify the factors that may prevent the intervention from being used to full effect. In the case of VMMC, for example, the cascade analysis determined that a low perception of risk prevents many men who could benefit from VMMC from accessing the service. This suggests that the health impact of VMMC is unlikely to be maximised without complementary interventions to better motivate men to seek voluntary circumcision. In HIV prevention efforts, the role of evidence-driven programme design, routine data collection and analysis, a clear focus on an agreed target for reducing new infections, and rigorous evaluation of outcomes must markedly increase. As the articles in this issue illustrate, intervention-specific service cascades offer an important avenue to improve the soundness and effect of prevention programmes. Our call to enhance the rigour of prevention programming is urgent, as hopes for meeting our ambitious global goals will only be achieved if treatment-associated reductions in HIV transmission are matched by an equally robust, sustained reduction in HIV acquisition. MTI has received professional fees from the Bill & Melinda Gates Foundation but otherwise declares no competing interest. The remaining authors declare no competing interests.